Andersen Law Firm is located on the south side of Convention Center Drive, approximately 1/3 of a mile west of the Las Vegas Convention Center, in the Tower Building. 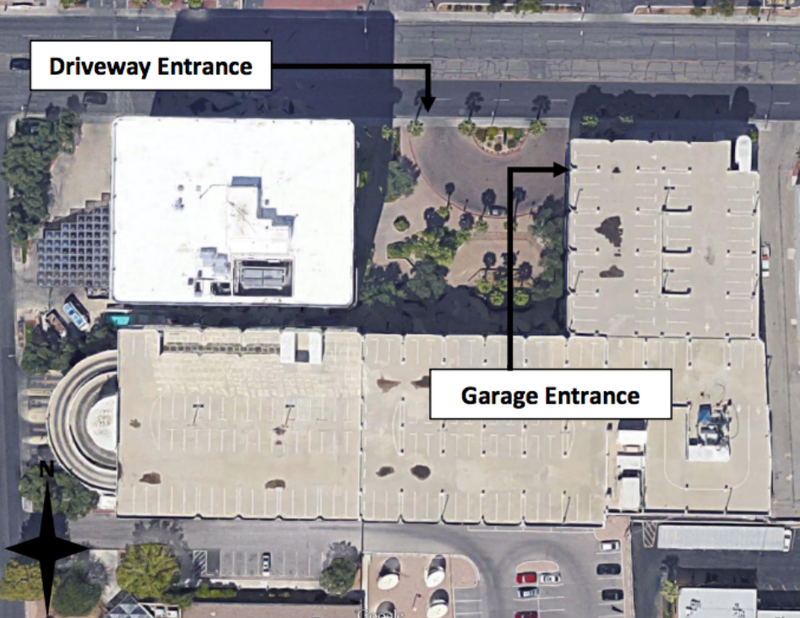 Parking is available in the parking garage, the entrance to which is in the half-circle driveway located in the front of the property. After parking, take the parking garage elevator to the first floor, exit the parking garage and proceed outside in order to then enter the Tower Building. Take the tower elevators to the 6th Floor of the Tower Building, and proceed to Suite 600. Please bring your parking ticket with you, so we can validate your parking.